Jeff Schechtman's "Specific Gravity": Is Water the Sine Qua Non of "red" and "blue" America? Is Water the Sine Qua Non of "red" and "blue" America? I’m often the first to criticize the way in which we are too quick to put things in political terms. Too often the rush to label “red” or “blue” America gets us into trouble. But one aspect seems to hold. We are bluer politically as we get closer to water. Look at any map and coastal America seems to have a different mindset. Perhaps it is because water and proximity to water make a difference. That it impacts us in profound ways that stem from our evolutionary biology and extend to health, happiness and a more holistic view of the world. Wallace J. Nichols has devoted himself to understand man's connection to the water. 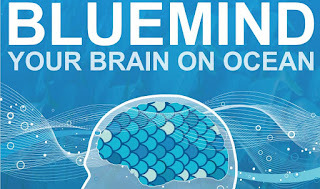 He explore it in Blue Mind: The Surprising Science That Shows How Being Near, In, On, or Under Water Can Make You Happier, Healthier, More Connected, and Better at What You Do . A kid with a dream - Jerry Weintraub R.I.P.